A talk with Ole Frahm from Ligna about the emergence of the radio ballet Tanz aller – Ein Bewegungschor. 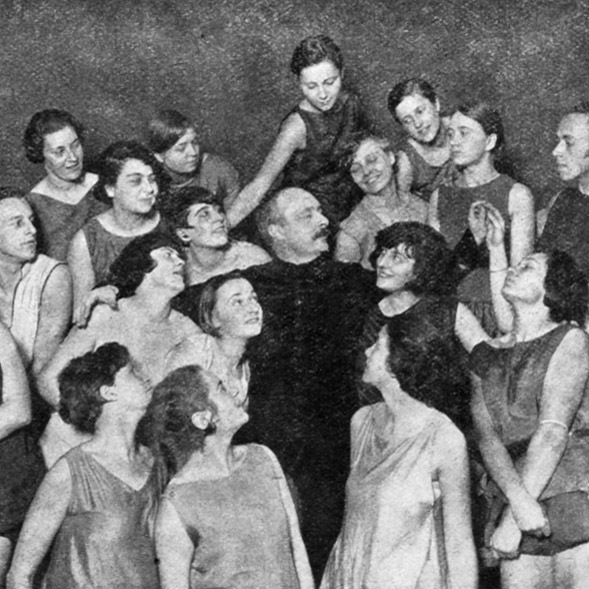 The project Dance of all – A Movement Choir went on the trail of Rudolf von Laban and looked at the almost forgotten legacy of movement choirs, which, from the middle of the 1920s, understood dance as a social and political phenomenon. The choirs opened up amateur dancers’ bodies to movements that went beyond those they performed in everyday life and allowed them to come together in urban space as a crowd organised as a choir. The project explored the heterogeneity of this movement and looked for displaced choreographies and histories. With its ‘radio ballet’ concept, Ligna developed a format that regularly intervened in open as well as controlled spaces. Does this practice represent an updating of the movement choirs? What roles do a crowd and dance play today? What does an organisation of crowds look like beyond representation? Dance of All updated the political demands of movement choirs to reflect the contemporary context. Programme for the symposium Körperpolitik / Body Politics from 3/11–4/11/2011 in Hellerau. In a two-part interview, the British dance historian Ramsay Burt talks about the political aspects of Dance of All – A Movement Choir and about Laban’s reception in England. A Professor of Dance History at De Montfort University (Leicester/UK), Burt also teaches at P.A.R.T.S. (Brussels). His publications to date include Male Dancer: Bodies, Spectacle, Sexualities (1995), Alien Bodies: Representations of Modernity, ‘Race’ and Nation in early Modern Dance (1998), Judson Dance Theater: Performative Traces (2006) and – together with Valerie Briginshaw – Writing Dancing Together (2009). In 1999, he was a guest professor on the Performance Studies course at New York University. Together with Susan Foster, he is the founder and publisher of the Discourses in Dance journal. Recording of the premiere from 6/6/2013 as part of the Dance Congress, Gustaf-Gründgens-Platz, Düsseldorf.